No software or driver installation is needed, hassle-free. Use these 3D glasses to view 3D movies. 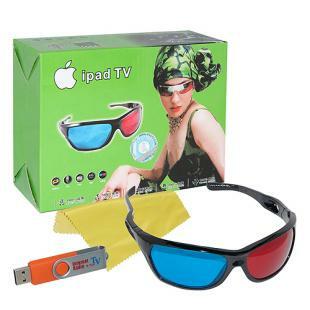 Find, Read Reviews & Buy cheap Worldwide Internet USB Radio & TV Stations Player with 3D Red/Blue Glasses products at wholesale price from leading chinese supplier, enjoy online Worldwide Internet USB Radio & TV Stations Player with 3D Red/Blue Glasses for sale and become wholesaler now!